hearsay The word trivia had not reached my edition of the Oxford English Dictionary. But trivium is a meeting of three roads: Latin tres and via. 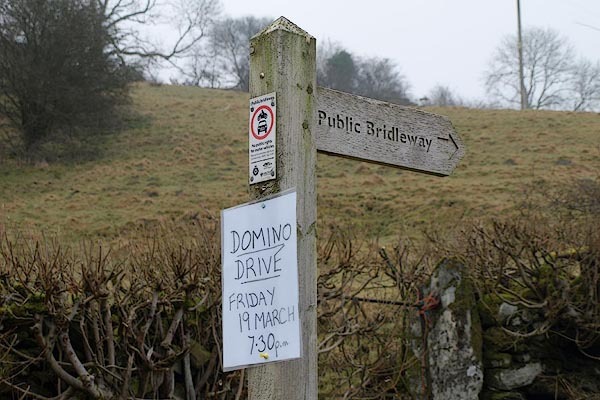 There is a suggested etymology for trivia, perhaps a spoof, that they are the messages left at a meeting of three ways, where people pass and are likely to see it; which is what happens in Longsleddale.